UK Stampin' Up! 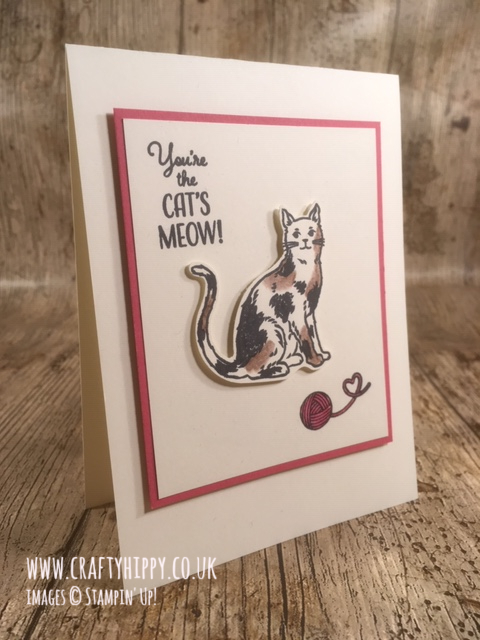 Demonstrator | make beautiful cards | Crafty Hippy: Calling all cat lovers! Nine Lives, the PURRFECT cat-themed stamp set by Stampin' Up! 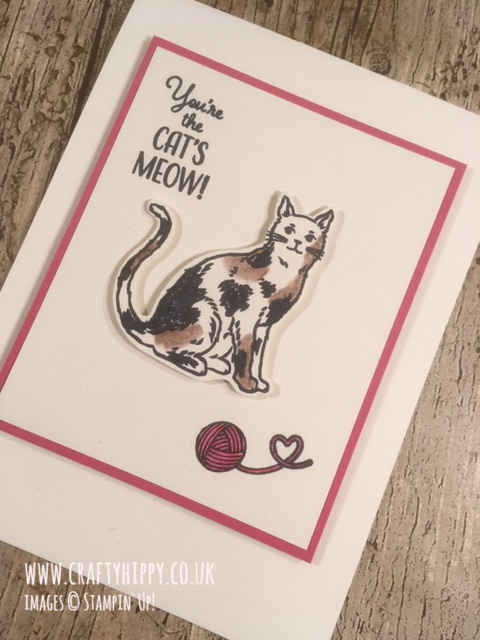 Calling all cat lovers! Nine Lives, the PURRFECT cat-themed stamp set by Stampin' Up! Take a look at our new cat stamps! 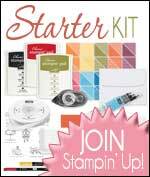 Here at Stampin' Up! we're very excited to introduce Nine Lives, our beautiful new cat-themed stamp set. It coordinates with the Cat Punch. This is such a marvellous set and is perfect for creating quick and simple yet charming cards and projects. Those who follow this blog will know that I am cat mad, so I couldn't pass off on this opportunity! This beautiful photopolymer set is a Two Step Stampin' Set meaning you can create the type of cat you want by layering up your stamping on top of the basic cat stamp. This means you can create a plain cat, a striped Tabby style cat, or a Tortoiseshell cat like the one above. Purrfect!! You can find all the products you need to make this project below. 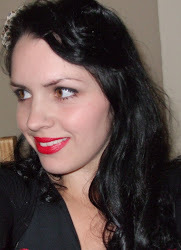 Feel free to Subscribe to my YouTube channel and to share my videos and posts. How to mount the new Cling Stamps by Stampin' Up!